These are the different Kongsberg sporting rifles present in my collection. Historically, hunting has been very important to the Norwegians for a very long time. All the way back to the bow and arrow era, through flintlock, percussion and finaly guns that use smokeless powder, nature have provided very important resources to the Norwegians. 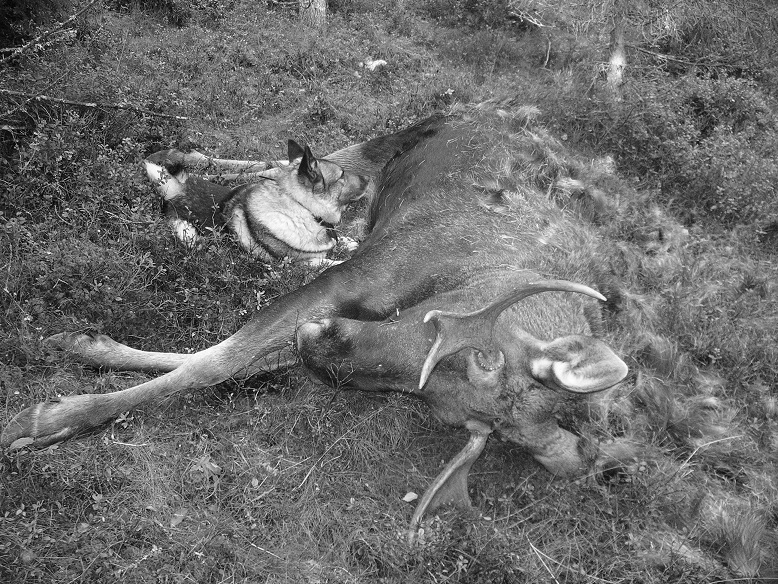 Picture below: Norwegian moose shot in Hedmark Norway October 2009. (Next to it, a Norwegian elkhound).